Australian Labradoodle Puppies playing together! 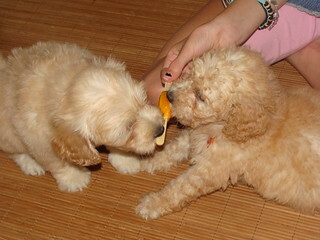 They were from our wonderful Summer 2009 Australian Labradoodle Litter. We are a small Family Australian Labradoodle Breeder in South Carolina.